As a charismatic SS officer in Inglourious Basterds, little-known Austrian character actor Christoph Waltz steals the movie from Brad Pitt and is an early Oscar favorite. That’s Austrian character actor Christoph Waltz, whose breakout role as the silky, sadistic SS Colonel Hans Landa (aka “The Jew Hunter”) in Quentin Tarantino’s upcoming Inglourious Basterds is the best thing—by an order of magnitude—about this WWII mashup of The Dirty Dozen and Siegfried Kracauer’s From Caligari to Hitler. Although he speaks fluent German, French, and English throughout the movie, you would be hard-pressed to differentiate it from his pidgin Italian on display in one scene, with such gusto does he attack the role. An actor with more than 100 credits in Europe but virtually unknown in this U.S., the 52-year-old Waltz has of late carved out a sinecure playing villains on German TV, a career path as lucrative as it has been unchallenging. Rather amazingly, given his facility with the language, he only has a handful of English-language credits—mostly European co-productions and TV epics like A&E’s Catherine the Great, TNT’s Jacob and Goldeneye: The Secret Life of Ian Fleming for U.K. TV ( not the later Bond film, as widely reported)—despite having divided his time for the past 20 years between Berlin and London, where he lives with his wife and three children. “I asked myself, ‘Do I want to run through the background yelling Heil, Hitler for the rest of my life?’” says Waltz, who returned to Germany and the comfortable life of the journeyman actor. So the irony of finally inhabiting the Nazi villain that may break the mold is not lost on him—either as an actor or a part-time German resident. “Well, there’s no business like Shoah business,” he says, addressing the wave of Hollywood Holocaust movies last year and their recent offshoot of revenge fantasies. ( Defiance, Valkyrie and now Inglourious Basterds). “I’m not really that comfortable with that. I’m interested in dealing with the topic, and not just satisfying our politically correct preoccupation, which actually hinders dealing with it. So when Quentin comes along—and of course, it needs to be Quentin… the sigh of relief is the biggest in Germany. We are educated on this topic to an infinitely higher degree than anywhere else—with good reason. With Inglourious Basterds, Waltz joins the pantheon of actors who have received career reprieves from the Tarantino canon—notably, John Travolta in Pulp Fiction, Pam Grier and Robert Forster in Jackie Brown, Michael Parks in From Dusk Till Dawn (from a Tarantino script) and the late David Carradine in Kill Bill: Vols. 1 and 2. ICM agent Adam Schweitzer read the script and called Waltz’s agent in Germany before any footage had even been shot, recognizing that whoever played this part had the potential to become a star. They are currently entertaining offers, and expect to make some decisions by next week. Meanwhile, almost against his better judgment, Waltz cautiously stares past the lure of the obvious, and into what looks like an increasingly glorious future. 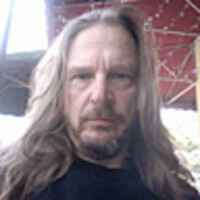 Paul Cullum is a freelance writer living in Los Angeles. He has written for the New York Times, the Los Angeles Times, L.A. Weekly, Variety, Details, Radar, Vanity Fair and hundreds of tiny magazines that pay comically little.